What a wonderful read. It was fun to read something in the voice of the five-year-old boy named Jack. By doing so, Ms. Donogue managed to take a difficult subject and bring in humour and matter-of-facted-ness (am I allowed to invent words for a book club?). Jack and his Ma have been locked up in “Room” (11″ X 11″) all of his life with only a skylight giving them any view of the outside world – when not covered in snow. Every item is capitalised as they are official things to him: Wardrobe, Sink, Bed, etc. He is not an unhappy kid as this is all he’s ever known. His mother has managed to create a certain normal-ness in an abnormal situation. She does such a good job that he doesn’t know that it is unique. She also teaches him to read at a very young age and, though he may make grammatical errors, his vocabulary is extraordinary. Of course, now that Jack gets bigger, Room seems smaller and it is a question of time before Ma starts making him understand they cannot stay forever. Ma tries to explain to him that the world on TV is actually the real world, and not, as she originally told him, pretend. It is beyond his comprehension. All I can say is, though the subject is claustrophobic, the telling of it is enjoyable! So, inspired by Laura, of Circle of Pine Trees’ April choice, Letters of Note, I thought of a book I’ve had in my library for a while but hadn’t yet gotten around to. 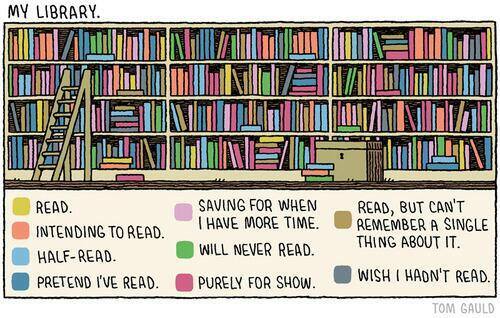 Hmm… Seems all my choices are based on already-existing-in-my-library books that I haven’t gotten around to! Thank you, Laura! By creating this special book club, you’ve forced me to take stock of what I have! I am, I fear, a book-a-holic and cannot resist the book aisle in ANY store! I truly have to stop buying more and continue attacking the ones I already have! Would that ever make hubby happy! No guarantees, though. So, a few months ago I was browsing the aisles of HomeSense and, of course, could not stay away from the itty-bitty book section. In my neighbourhood, getting anything in English is quasi-impossible but at HomeSense they have cookbooks, notebooks (another fetish of mine) and other specialty books in English. Tucked in between cookbooks by Jamie Oliver and Rachael Ray was As Always, Julia – The Letters of Julia Child and Avis DeVoto! A book on Food, Friendship and the Making of a Masterpiece, edited by Joan Reardon. Well, I had loved watching Julie and Julia (and will watch pretty much ANY movie that has anything to do with foodwriter once upon a time…Would still be if I had someone willing to write back and mail it! When I saw this book, well, I just had to. Plus it cost me a whole $5.99 CDN! Quel bargain! It would have been foolish of me to walk away… Though the friends corresponded for over thirty years, this collection traces the story of the creation of Volume 1 of Mastering the Art of French Cooking – a book I am proud to have in my cookbook collection – from March 9, 1952 to May 2, 1961. They will discuss everything from the best knives to use to recipes, to politics, to sexuality. I confess I have already started reading it and oh my! These were not simple “hello, how are you doing, I am fine” letters! 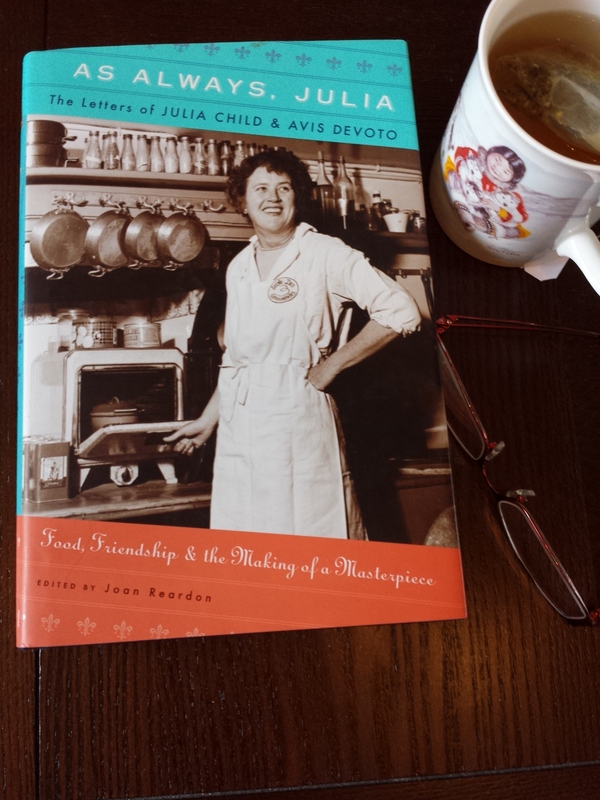 I am looking forward to learning even more about the venerable Ms. Julia Child! This entry was posted in Books, Food and tagged friendship, Julia Child, the year in books. Bookmark the permalink. I am not claustrophobic but am getting that feeling by just reading your introduction! Cannot imagine [or maybe I can] what it would be like to live in such tight quarters all your life and yet we do this to animals for food production year round. I just realised I forgot to mention that Room measured 11 X 11 feet! Well, so many people today are trying to live in shoebox-size houses… I guess they would be more comfortable! Living in a 11 x 11 feet room 24/7 is different from most people’s experiences though as we go to work, visit places etc. I cannot see how one would not get very depressed very quickly. No kidding. Let’s just say the mother did a good job until she couldn’t! Interesting that I’ve seen a couple of bloggers taking the ‘Year in books’ challenge have read ior mentioned the Julia Child’s book. I truly did enjoy it and hope you do too! I noticed that as well! Wonder how come Julia is suddenly “news” again!